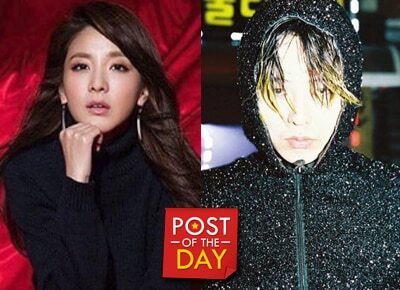 WATCH: Big Bang’s G Dragon ‘kisses’ Sandara Park? Videos of a girl speculated to be Sandara Park and G Dragon have been circulating online where the two were spotted together after the latter’s concert in Seoul. The Big Bang member was reportedly shielding the “Pambangsang Krung Krung” and was allegedly caught kissing her forehead. Even though the videos taken didn’t clearly show the face of the girl, fans identified it as Sandara because one of her friends posted an Instagram picture of Sandara in a hoodie and blonde ponytail.